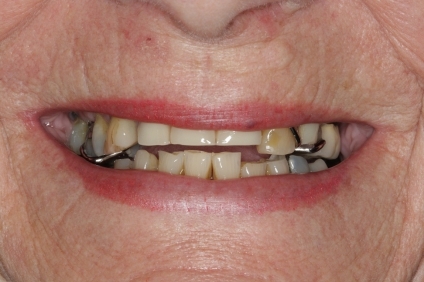 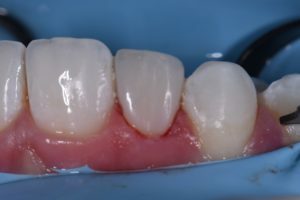 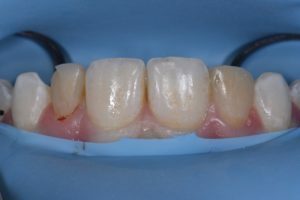 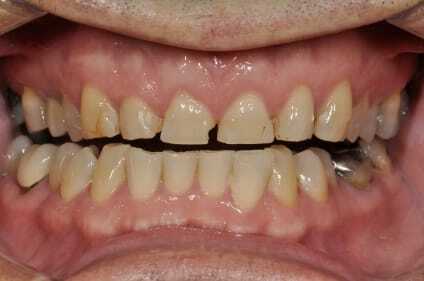 This case was referred to me for improvement of the esthetics of composite bonding on #7 and 10. 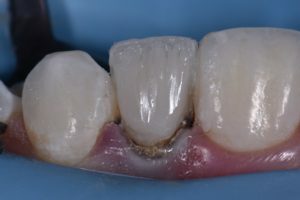 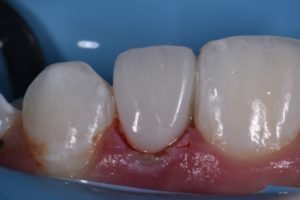 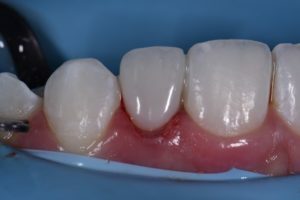 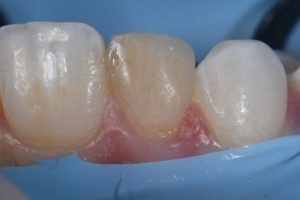 A diagnostic wax-up was generated as the referring dentist required certain proportions relative to primary anatomy to be confirmed before starting. 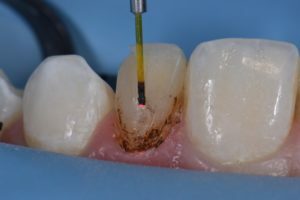 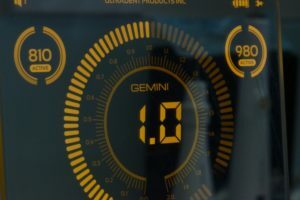 A decision was made to modify the gingival contour of 10 (diode, 810nm, 980nm, 1.0W SuperPulsed) (Gemini, Ultradent, UT), with bone sounding the basis for whether osseous recontouring was necessary. 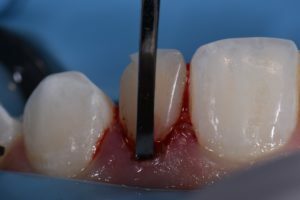 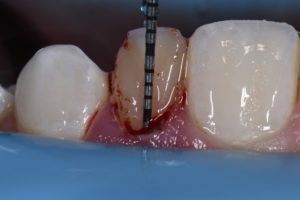 In this case, transsulcular osseous recontouring using a Wedelstaedt chisel (Kois) (Brasseler) was utilized to re-establish biologic width on the day of the restorations. 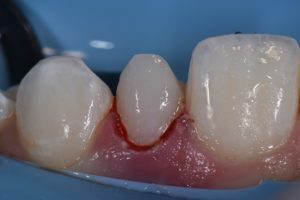 Approximate full healing time: 3 months. 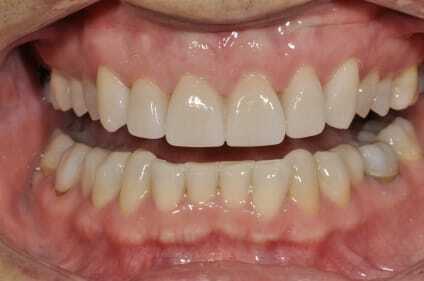 Approximate “purple” look to gingiva: 2-3 weeks. 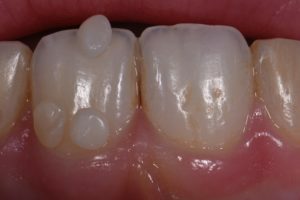 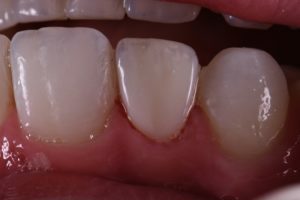 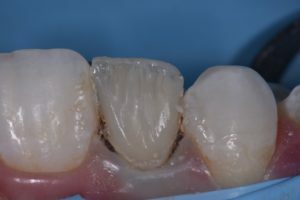 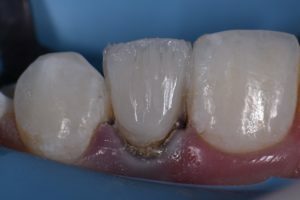 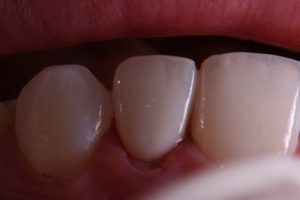 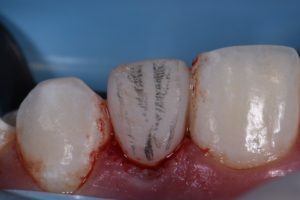 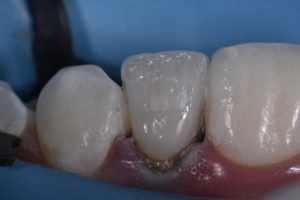 Most of the old composite was removed except for areas where it could not easily be distinguished from tooth structure. 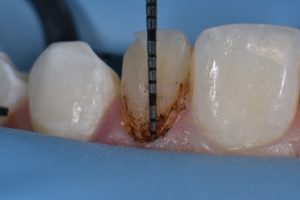 After defining finish lines, the teeth were isolated with metal strips and micro air abraded (27 micron aluminum oxide) before a total etch approach. 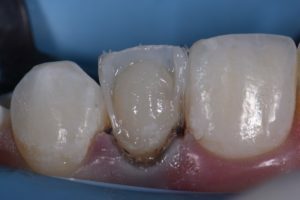 Silane coupling agent was utilized (GC G-MultiPrimer) before bonding (GC G-Premio Bond). 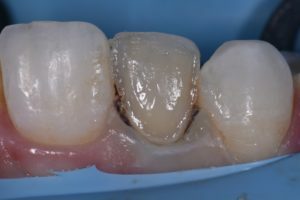 A layered approach was utilized (4 separate layers) using shades XL1 Enamel, A1 Enamel, XL2 Dentin, Trans Clear from Kerr Harmonize. 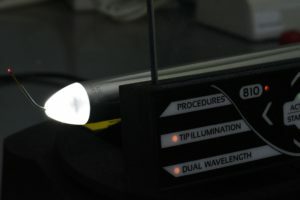 We were able to recreate the halo effect observed in the centrals. 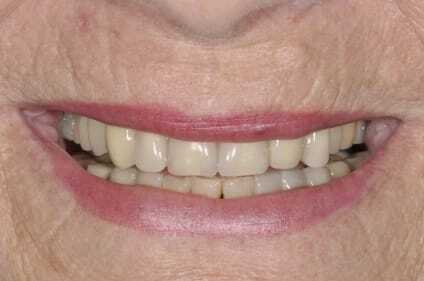 Now, just waiting for the reassessement. 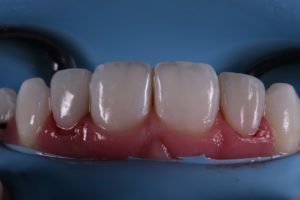 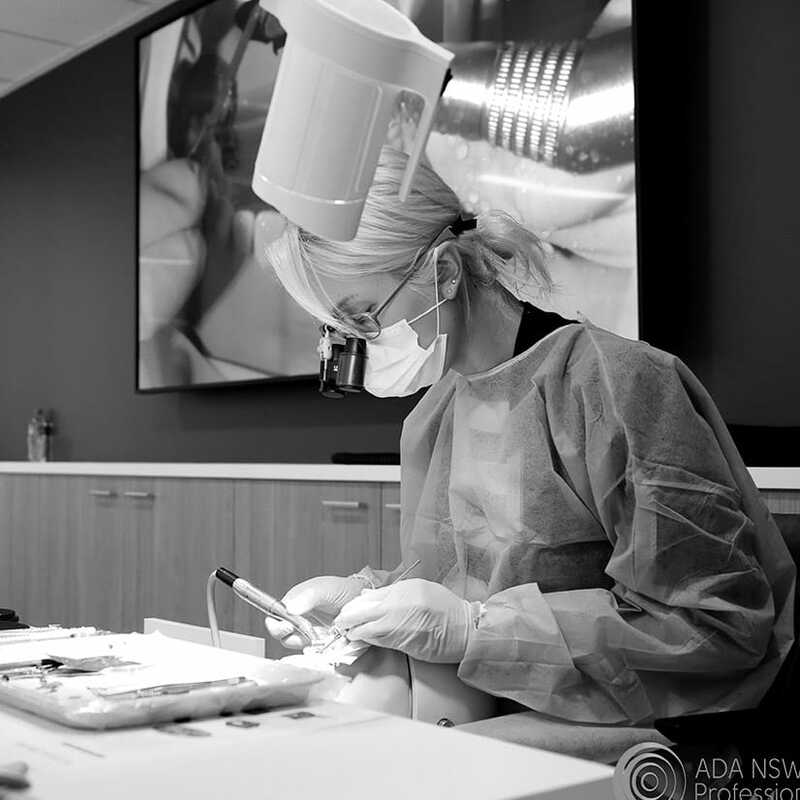 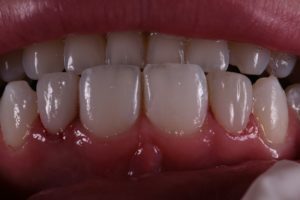 The patient will go back to her referring dentist for a new Essix retainer to be made after confirmation that contours are ideal and as expected. 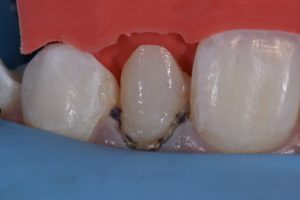 Sorry, after photos are at the beginning below, process photos are “after the laser picture”. 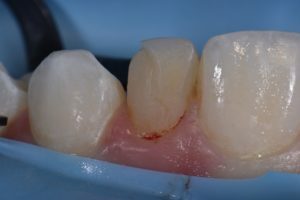 Apologies, I don’t know how to work this blog perfectly.